Forest (MFF). Earlier this year, one of the river guards was tragically killed by a big storm while patrolling. Another incident was the discovery of a dead dolphin below Kampi pool. This prompted the organization of a joint field visit. 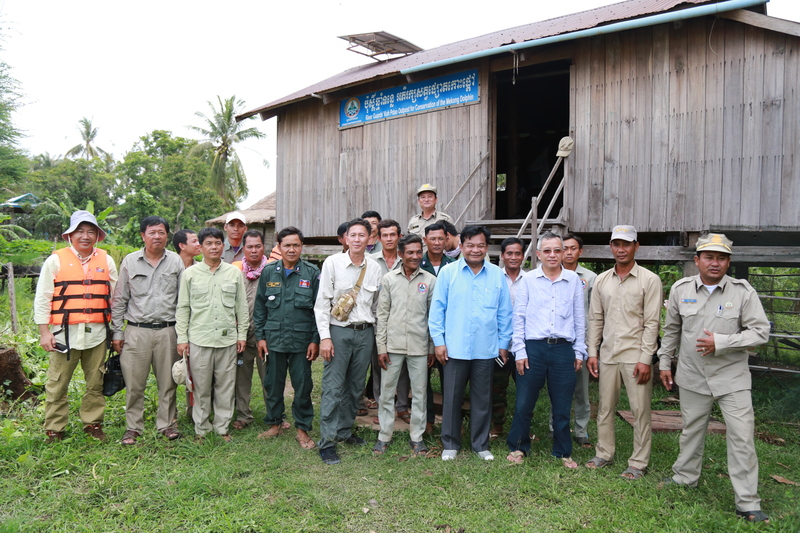 On the 4th of August 2016, H.E Eng Cheasan, Delegate of Royal Government of Cambodia and the Director of General of Fishery Administration; H.E Sor Chamrong, Kratie’s provincial governor; Mr. Chhith Sam Ath, WWF-Cambodia’s Country Director; and many others from both the Fishery Administration and WWF-Cambodia, all gathered together to begin the joint patrol. The involvement from these multiple members has shown how high the level of commitment towards the conservation of endangered species is. This joint patrol consisted of a boat trip on the Mekong River between Kratie and Steng Treng as well as visits to two outposts. The intention of this visit was to get a deeper understanding of the law enforcement approaches and to motivate the river guards to perform their tasks effectively. It was also an opportunity for the members of the joint patrol to remind the river guards of the importance of safety. 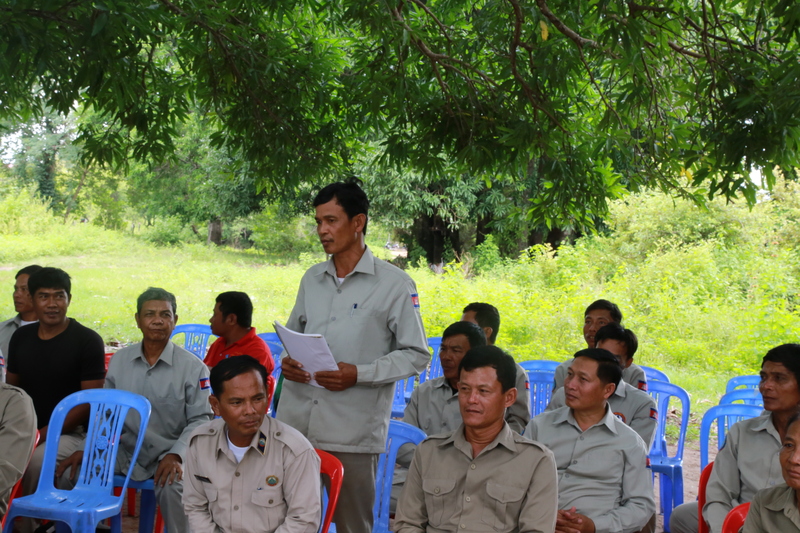 During this time, the river guards also had the opportunity to voice their concerns and challenges they faced. Some of these concerns included inadequate equipment such as boats and life jackets. Where possible, some of these items were provided to the guards, others were noted – to be provided at a later date. 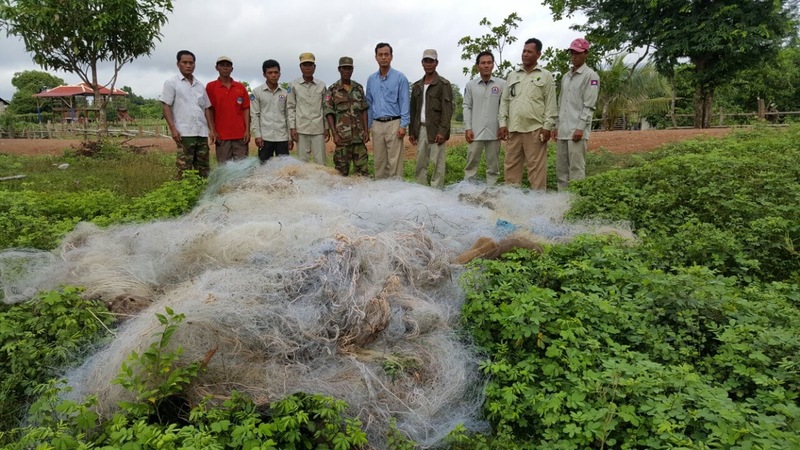 During the boat ride on the Mekong River, 11 sets of gill nets (circa 600m) were discovered and confiscated. Gillnets are one of the major causes of dolphin mortality and are therefore prohibited in Protected Areas. Prior to the boat trip up the Mekong, H.E Sor Chamrong, H.E Eng Cheasan and Mr.Chhith Sam Ath were interviewed by TV broadcasters on regard to their visit. They were questioned on the intentions of their trip, the challenges they expect to face in the future and what they plan to do in regard to conservation in the area. Overall, this trip was a success and many more joint patrols are planned for the future.